The Virginia Democrats asked Trump's intelligence director to assess whether North Korea is really willing to significantly reduce its stockpile. The ranking Democrat on the Senate intelligence committee is questioning whether President Donald Trump's upbeat statements about North Korea's willingness to give up its nuclear weapons are consistent with the judgments of U.S. intelligence agencies, according to a letter obtained by NBC News. Sen. Mark Warner of Virginia is asking Dan Coats, Trump's director of national intelligence, to deliver to Congress a detailed assessment of whether Kim Jong Un is willing to take concrete measures that would significantly reduce North Korea's nuclear weapons stockpile or accept intrusive international inspections. NBC News has reported that U.S. intelligence agencies have detected secret facilities at which North Korea is increasing its production of nuclear fuel. American officials say U.S. spies also believe the Kim regime is working on plans to deceive the international community about its nuclear facilities, the number of weapons it possesses and the state of its ballistic missile program. The Trump administration has not commented on that secret intelligence, which was described to NBC News by multiple officials and confirmed by The Washington Post. While Pompeo called his talks last weekend with North Korea officials "productive," they accused him of engaging in "gangster-like tactics" by pressuring the country to give up its nuclear weapons. In his letter, Warner noted that Secretary of State Mike Pompeo remarked on July 8 that "we had detailed, substantive conversations about the next steps toward a fully verified and complete denuclearization. … There will be verification connected to the complete denuclearization. That's what President Trump and Chairman Kim both agreed to." The Joint Statement issued by the president and the North Korean leader on June 12 stated that "Kim Jong Un reaffirmed his firm and unwavering commitment to complete denuclearization of the Korean Peninsula." On June 13, Trump declared via tweet that "everybody can now feel much safer than the day I took office. There is no longer a Nuclear Threat [sic] from North Korea." 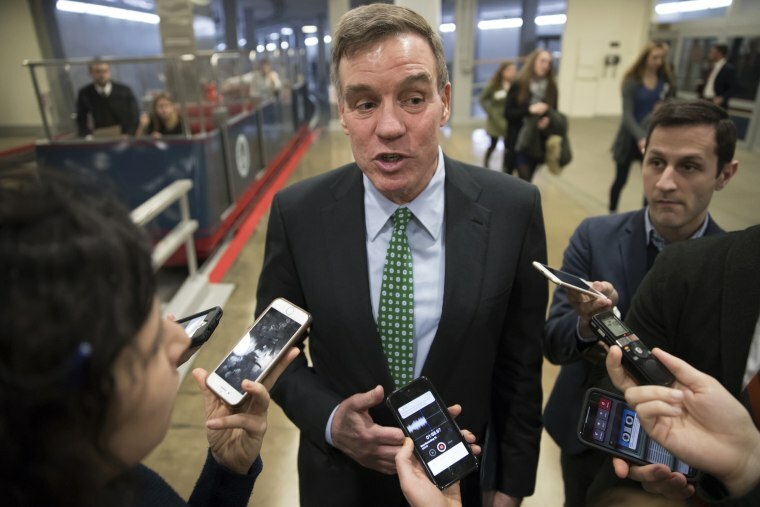 Warner questioned whether "the public pronouncements from this administration regarding North Korea align with the Intelligence Community's (IC's) assessments on Kim Jong Un's willingness to make concessions on verifiable denuclearization." DNI spokesman Brian Hale told NBC News "we have received the letter and will respond to the senator directly."